Whilst some people like holidaying independently, more and more are turning to all-inclusive deals. It’s easy to see why. With money tight, no-one wants any unexpected costs on holiday. So, when flights, transfers, accommodation, food, drinks, entertainment and pretty much everything you could need is included in the price, you can truly relax and enjoy your break. Also, the days of the ‘cheap and cheerful’ inclusive deal, with average accommodation and poor food are mostly things of the past. Today, there might be more varied dining options, for example, at the quality end of the market. Of course, it’s important to check exactly what is included in the all-inclusive price. Does it include everything you want? Are all activities, for example, part of the deal? Families will love the deals on offer for a cheap all-inclusive holiday on Tenerife, one of the Canary Islands, off the coast of Africa. Its warm and reliable climate all-year-round is a sure bet with plenty of fun activities, all especially good value in October half-term. Head for the Siam Park Water Kingdom for a day splashing around with an array of slides, a huge wave pool and a ‘white sand’ beach. Combining the mystery of the ancient kingdom of Thailand, with modern entertainment technology, it’s run by the same people behind the Loro Parque Zoo. There you can see dolphins perform, check out the orcas, along with animals like gorillas, tigers, and an enormous number of colourful parrots. Egypt is another destination for good all-inclusive holiday deals, with the Red Sea resorts offering all you need for a wonderful stay beside the sea. There, you can chill-out on beautiful, safe beaches, learn to dive amongst the corals, and enjoy desert safaris. 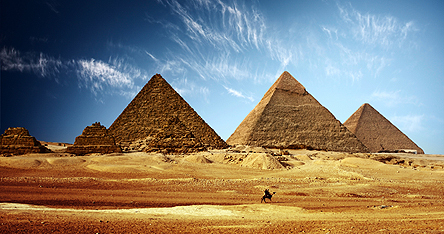 Of course, no visit to Egypt is complete without an encounter with the 4000 year-old treasures, royal tombs and mighty temples of this fascinating company. Mexico is another sunny destination where you can take the all-inclusive route to holiday happiness. The palm tree-lined beaches of Cancun are best from November to April, when it’s dry and slightly cooler. Dubai is becoming more and more popular with families these days as it moves away from the glittering celeb-only image of this man-made, all-year-round, city and beach holiday destination. More family rooms and all-inclusive packages are seeing the light of day. Thailand is another all-inclusive pin on the holiday map, with some great options on the paradise islands of Phuket and Koh Samui. The ‘land of a thousand smiles’ will keep you (and the family) smiling too. For the latest, cheap all-inclusive holiday deals at these destinations and many others, keep an eye on our website at Netflights.com.